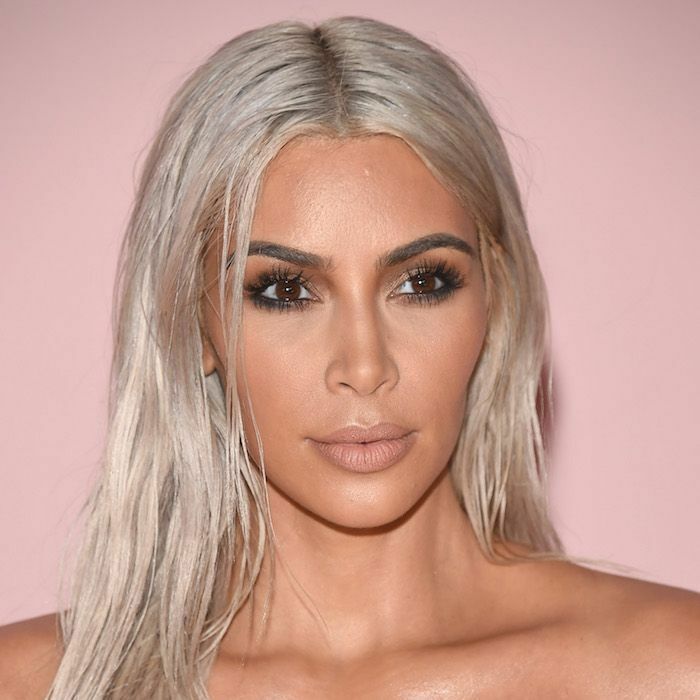 Kim Kardashian West has access to pretty much every beauty product ever created, having tried the luxurious, the affordable, and everything in between. She's also spent hours upon hours in the presence of industry experts—including some of the world's best makeup artists and skincare experts. Now that she has her own namesake KKW Beauty line, she's even involved in creating and formulating cosmetics. In other words, she's a beauty expert in her own right. Now, as of last night, we know a little more about her personal skincare routine. She took to Instagram Stories to share her three favorite skincare products of the moment. From two plant-based products to one super-decadent face cream, keep scrolling to see the products she swears by. She first posted this photo to her Instagram story, captioning it, "My 2 fave products in the world!" and tagging the brand, Epicuren. This brand uses natural products to formulate rich and effective plant-based skincare. Kim specifically calls out the Kukui Coconut After Bath Moisturizer ($40) and the Bulgarian Rose Otto ($52). First up, let's talk about the moisturizer. The ingredients are simple but super moisturizing. They include oils from sunflowers, kukui nut seeds, coconut, jojoba, and avocado. Then there's nourishing rosemary extract and shea butter. We can see why Kim swears by it. Apply it all over your body after a bath or shower for richly moisturized, glowy skin. This recommendation comes at a perfect time, right before temperatures drop to dry out and dull our skin (thanks, Kim!). Then there's the Bulgarian Rose Otto. This is a collection of essential oils (apricot, avocado, meadowfoam, grapeseed, jojoba, rose, jasmine, and sandalwood, to be specific) to hydrate and plump skin. You can apply it all over your face, though some people concentrate it near the mouth and eyes, where skin can be especially thin, wrinkled, or dry. The price might be luxurious, but so is the product. Then, a while later, she posted this picture to her story. It shows Guerlain's Orchidée Impériale The Cream ($455). This crazy-indulgent face cream utilizes the natural power of the orchid flower to offer anti-aging benefits. It promises to do everything from increase radiance and firmness to fade lines and wrinkles. She captioned the photo, "Fave face cream in the world! Need to try the new black orchid one!" The "black orchid one" is the newest iteration of this face cream. It uses a special orchid extract to achieve even more significant anti-aging effects. The company says that it was 15 years in the making. But before you run out to test it in the hopes of flawless Kardashian-esque skin, keep in mind that this Orchidée Impériale Black Cream costs a whopping $1115. We don't know about you, but that's a little (read: extremely) out of our price range. But since this is Kim Kardashian West we're talking about, we're not all too surprised it's high on her must-have list. KKW doesn't only use ultra-luxurious products, though. Next, see the $20 treatment she has to thank for her healthy platinum hair!